You are viewing a preview location. I have found that the majority of people I speak with don’t know the difference and may not care. The most common response I encounter is a change in an individual’s body language from relaxed to more tense or defensive demeaner (crossing their hands over their chest) when introducing myself as a Financial Planner. I think individuals have developed an untrusting attitude toward financial service providers as a whole and I don’t blame them for it with all the negative stories in the news. Because of this I want to try to hold myself to higher standard. Doctors have to take board exams and take a Hippocratic Oath to practice; lawyers take the Bar Exam, accountants become CPA’s and Enrolled Agents to represent clients in front of the IRS. It is only natural that Financial Planners should hold themselves to a higher standard as well. 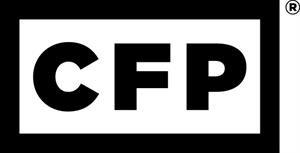 CFP® professional must adhere to the CFP Board Code of Ethics and Rules of Conduct requiring CFP®professionals to put clients’ interests above their own, and to provide their financial planning services as a "fiduciary" — acting in the best interest of their financial planning clients. CFP® Board enforces their Standard of Professional Conduct. There are several financial professionals that are competent and experienced in their lines of business that do not hold a CFP® designation and provide excellent services to their clients every day. I don’t mean to take anything away from their professional acumen. In fact, I consult with many subject matter experts in estate planning, tax preparation and insurance to provide comprehensive financial plans to my clients. Hopefully this has been helpful! Stay tuned for future guides for academic and healthcare professionals to help them take control of their money. Future articles include: college planning and student loan debt. Want to work with a CFP® Professional to get your financial affairs in order? *Neither Voya Financial Advisors nor its representatives offer tax or legal advice. Please consult with your tax and legal advisors regarding your individual situation. Chill Financial Group is not a subsidiary nor controlled by Voya Financial Advisors. Investment adviser representative registered representative of, and securities and investment advisory services provided through Voya Financial Advisors, Inc. (member SIPC). Chill Financial Group is not a subsidiary of nor controlled by Voya Financial Advisors. Tax Services provided by Chill Financial Group. Voya Financial Advisors does not provide tax services or tax advice. We are registered to sell Securities in GA and KY.
We are licensed to sell insurance in GA and KY.